The Reds had Old Trafford rattled, they had Jose Mourinho rattled and they had Manchester United’s expensive lineup rattled on Sunday. Jurgen Klopp’s men proved they can maintain the spark and the quality to their attacking play while holding their own in a gruelling and physically demanding contest. It took long balls and the linesman missing a frustrating offside decision for United to breach our defence and steal a leveller late on in the game. Goalkeeper Simon Mignolet believes the reaction to the loss of two points recognises where his team are at. 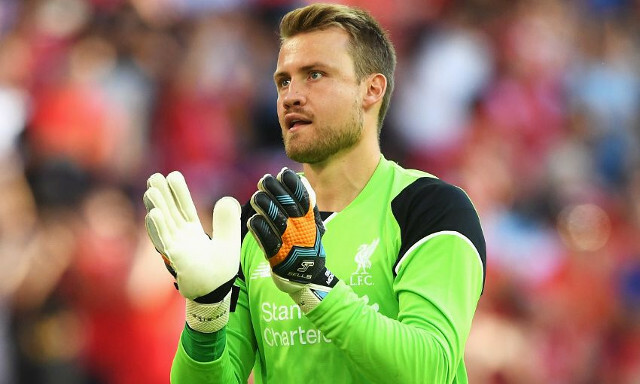 The draw at the weekend saw Mignolet enjoy an outstanding game as he maintained the impressive form he has shown since reclaiming his starting spot from Loris Karius. A spirited and a confident performance such as Sunday’s is perhaps what was needed following a couple of testing weeks and will hopefully trigger another strong run. Star players are returning to fitness and we are getting our squad back together again at just the right moment. Now is the time to kick on and ensure we continue to compete in a now extremely close title race.